Throughout the years, many footballers had the privilege to represent their nations in the World Cup. Unfortunately, this isn’t a privilege that every country is able to enjoy. Across the globe there are many nations that aren’t officially recognized as a country. To give these nations and indigenous peoples a chance to compete, the Unrepresented Nations and Peoples Organization (UNPO) organizes a World Cup to bring various cultural groups closer together. The organizer, Jeroen Zandberg, explains that the UNPO ‘offers unrecognized nations a platform to gain more recognition for their rights and to strengthen their identity.’ The peaceful competition that was hosted on 17 June 2017 in the multicultural city of The Hague, the Netherlands, welcomed eight teams from disputed territories and historical regions. Among the candidates were also local players that represented Kurdistan and the Progressive Liberal Democratic Party, a Dutch political party. The team from West Papua had several Papuan players and was supplemented with players from different cultures that wanted to show their support for the West Papua cause. 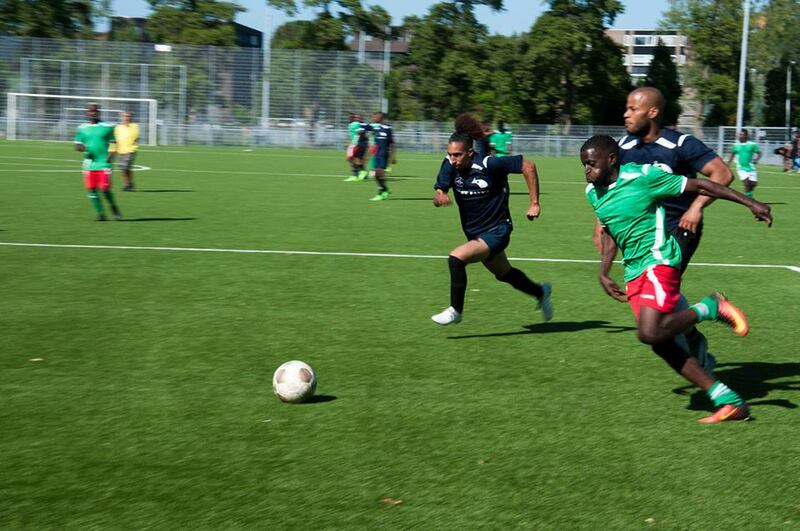 Other teams came from further away, like the team from the Southern Cameroons. 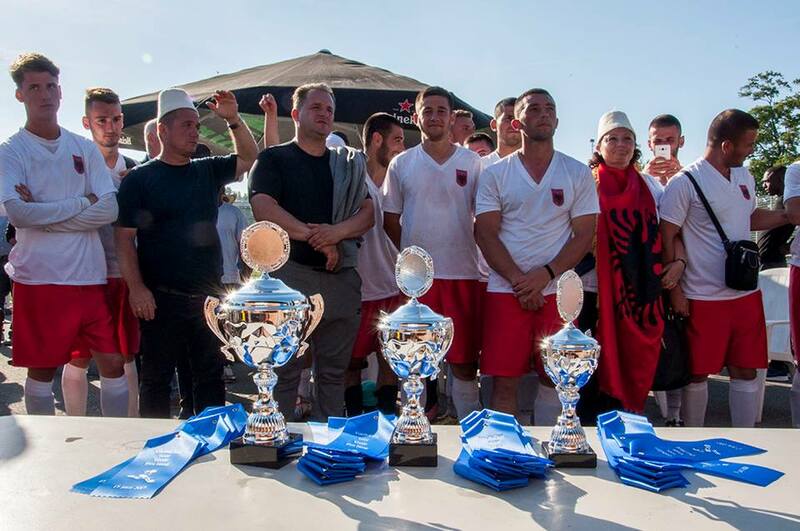 The Chamerian team and their supporters came all the way from Albania to compete for the main prize. Footballer Ibrahim Kandeke from the Umubano team is enjoying the sun while getting some rest in between the games. “The match against West Papua was really exciting! There were many opportunities created for us, but unfortunately, West Papua still won 3-2. We were technically the better team but maybe we were too careless with our African ‘we’ll be fine’ mentality.” Just like Southern Cameroons, football is immensely popular in Buriundi, almost everybody watches the games and most of them also play at local clubs. West Papua had a harder time finding footballers, but the situation was immediately resolved as local footballers showed their support by joining the West Papua team. It is the first time West Papua is participating in the UNPO Cup and coach Simon Sapioper is very proud of his multi-cultural team. Simon is a member of the West Papua government but his diplomatic efforts forced him to live in exile. The politician and activist had to flee his country in 1984 and ended up in a refugee camp in Papua New Guinea. Fortunately enough, Simon was lucky to be able to flee to the Netherlands in 1991 where he currently still holds a refugee status. Simon really loves the UNPO world Cup because it’s excellent for networking. West Papua already has very good relations with other UNPO members and this is a really good opportunity to expand them. Chameria and Umubano battled against each other in a nerve wrecking final, but Shaqir Haruni of Chameria was able to break the tie and won the championship with a 3-2 victory. Shaqir said of the result “Our opponent was physically very strong but still we won. 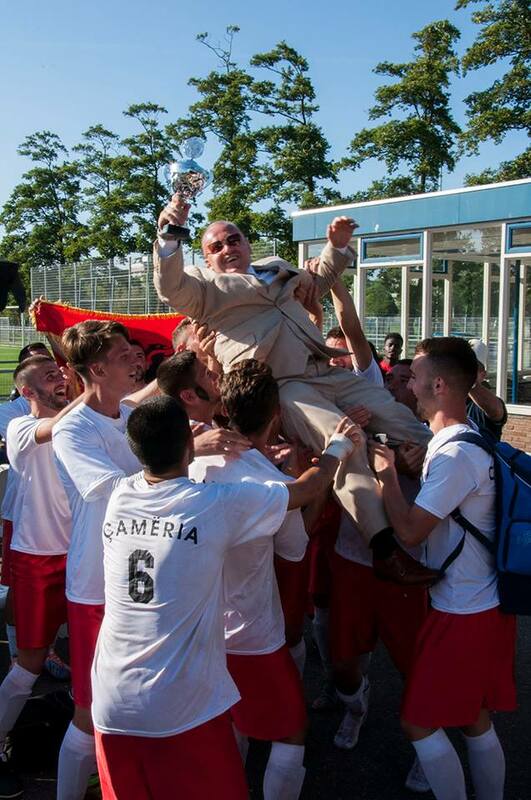 I’m tired but also extremely happy that we won the cup!” Straight after the victory, Chameria is already certain that they will join the UNPO Cup again next year, and their team will even be stronger.